Successful branding is much more than just a logo, a strapline, or a certain colour scheme that’s associated with the products we sell or the services we offer. No, branding – or rather good branding – is far deeper than that. Good branding is all about forming an emotional connection with our customers. You may ask, what’s so “good” about emotional connections? To which there is a very simple answer – 50% of every buying decision is driven by emotion. This is according to a Forrester Research consumer survey, which also revealed a related yet much more alarming figure – 89% of consumers feel no personal connection to the brands they buy. Why is this? Well, there is a tendency amongst a lot of companies to fall into the trap of placing disproportionate focus on promoting the rational elements of the business. That is to say that they focus on the practical benefits of the product being sold – the features, functions, pricing, etc – rather than the emotional benefits. These details, although obviously important to communicate, are nothing more than the cold, hard facts of the matter. But facts rarely set a brand apart from the competition. They don’t help to build a relationship with prospects and customers. They don’t make an emotional connection. Think of cleaning products, for example. Virtually all of them offer the exact same practical benefits – they make your clothes or your kitchen or your bathroom clean. Most will “kill 99.9% of bacteria”, and produce “whitening” or “brightening” results. Indeed, the majority even contain pretty much the same basic ingredients. And so, given that there is so little real choice between these offerings, what is it that drives consumers to choose one cleaning product over another when they are all essentially competing over the exact same features? The answer, of course, is that consumers don’t really choose products – they choose brands. Consumers will choose a brand for a number of reasons – they may trust it, recognise it, were recommended it, have always relied on it. In other words, they make choices based on emotional benefits that only good branding can create. When we think about what emotional benefits actually are – trust, familiarity, reliability, to give but three examples – we begin to see where all that emotion involved in decision-making comes from, and, by extension, why it is that forging a lasting emotional bond with our customers directly contributes to profitability. For brands, creating such emotional bonds means demonstrating a true understanding of their customers’ motivations and needs. It means giving the impression that the brand is putting the customer first. It’s these emotional connections that make a company special – and when they do it, and do it well, they transform from a business into a true and memorable brand. The rational side of Nike’s brand appeal comes from the fact that it sells good quality sportswear. That’s great, of course – but so does Adidas and Reebok and Puma. So, what does Nike do differently? Well, Nike’s strategy to separate itself from its competition (which it of course does very well (Forbes names Nike as the world’s most powerful sports brand)) comes down to an emotional appeal – namely to the “inner hero” of its target customers. Nike utilises storytelling to make this connection – and it’s a smart move, for every story has a hero that must overcome the villainous odds to achieve his/her goals. But Nike’s emotional brand strategy also adds a rather cunning twist to the tale – it turns the customer into both the hero and the villain of an ongoing drama. To explain, Nike’s customers, of course, are largely made up of sports and fitness enthusiasts, constantly challenging themselves to perform better, run faster, be stronger, and what have you. These challenges are often internal, as people force themselves to “just do it” and push a little harder, overcome their weaknesses (the villain) and “be all they can be” (the hero). Emotional marketing consultant, Graeme Newell, describes it like this: “You are the hero and your lazy side is a villain. [Nike] knows that while some people may identify with an external foe, all people identify with an internal foe.” The result? The Nike brand emotionally connects with its customers’ inner sense of strength, determination and achievement. Coca-Cola is another gargantuan brand that for many decades has sold its products through promoting emotions, rather than the features of its product. The brand never tells consumers how fizzy or sweet or refreshing its soft drinks are, but rather shows us the kind of lifestyle the brand embodies. Coke knows that consumers make buying decisions based on how they feel about a brand. In its own case, the feeling targeted is happiness. 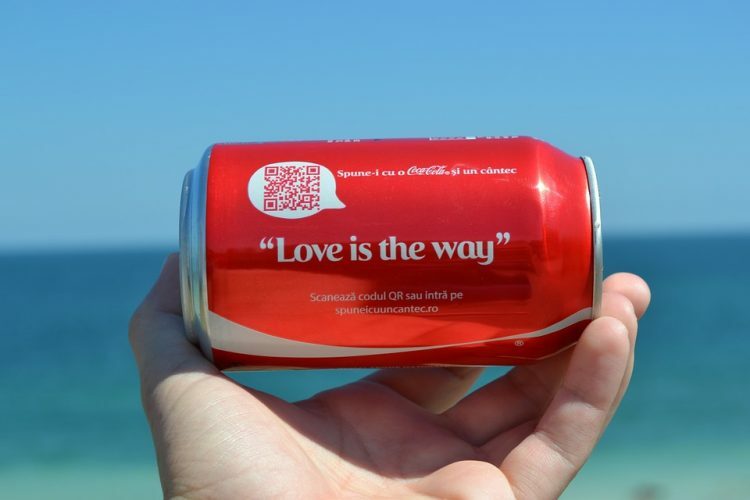 One of the ways in which Coke does this is by creating a sense of belonging amongst customers, as can be seen by the “Share a Coke”, “Open Happiness” and “Taste the Feeling” emotional campaigns over recent years. Cleaning products, sportswear, soft drinks. Cars, nappies, refrigerators. Headphones, cameras, microwaves. Products are inherently soulless. And, often, there is very little that differentiates one from another in a category in terms of materials, features and functions. What is different, however, is how consumers feel about each option they are presented with – and that comes down to good emotional branding. Nike makes its customers feel like heroes. Coke instils a sense of happiness and belonging. Apple, to use another example, wants to inspire and connect with the innovative side of its customers by encouraging them to “Think Different”. Red Bull, with its extreme sports campaigns, pushes consumers to believe that they too can “achieve the impossible”. These emotional connections are not dissimilar to the attachments we make with other human beings of similar ilk. And when brands can tap into such human connections and become a true part of it in themselves, a relationship is formed. And that, ultimately, results in long-lasting loyalty. 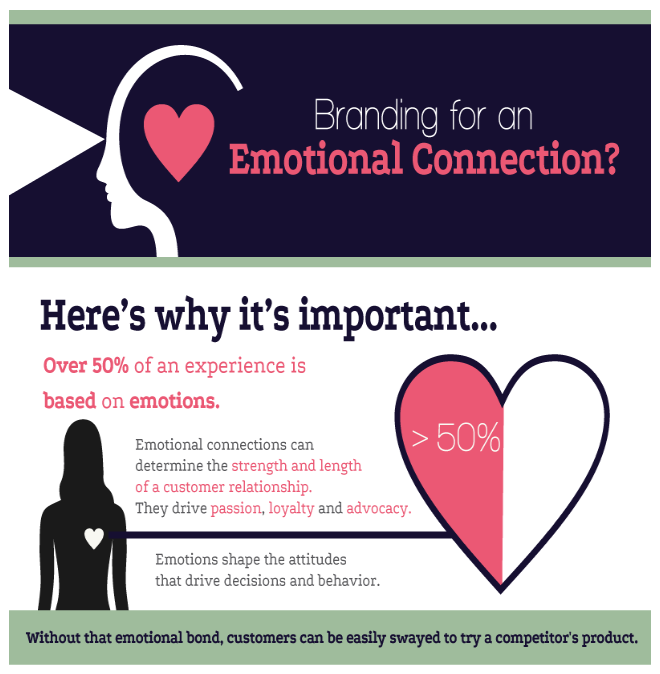 The emotional benefits of your brand may not be obvious. Uncovering them, however, and promoting the connections they foster, is what will differentiate your brand from the competition. Here at Cope Sales and Marketing – www.cope-salesandmarketing.com – we can help you work out your emotional appeal and devise a strategy for using it to connect with more customers. Take a look at our site, and our Branding Page in particular, and please use our Contact Page to reach out. Looking forward to hearing from you!